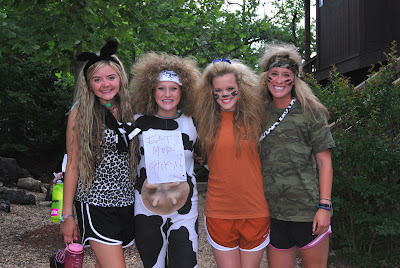 Girls ready to go for the Man vs. Wild party! Hysterical hair! 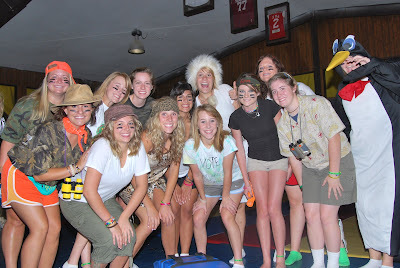 The gals of Cabin 7 at the Man vs. Wild party. 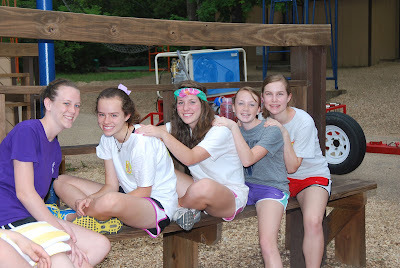 Some gals from Cabin 14 and 15 hanging on Day to get their picture taken. 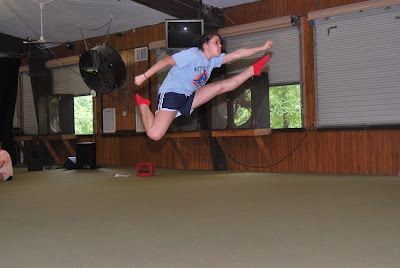 Cheer Higher Ground specialty began with a "KICK." Victoria Dixon is showing us her skills!